Additive manufacturing is powering the shift towards distributed, digital manufacturing. The ability to produce parts from digital files opens up new and exciting opportunities for agile manufacturing, from virtual inventories to on-demand, localised production. The agile, lean manufacturing approach facilitated by AM is understandably appealing. With traditional manufacturing, storing and maintaining physical inventories of spare and replacement parts can be incredibly costly. It’s can also be impractical – for parts that are out of production or have become obsolete, for example, companies are left with stock that can no longer be used. An automotive company, for example, will have a vast range of vehicle models potentially requiring thousands of spare and replacement parts. Managing a complete physical inventory in this scenario is a recipe for high costs and complex logistical planning. Additive manufacturing, or 3D printing, offers an ideal, digital solution by enabling companies to maintain virtual inventories – that is, holding digital assets in a digital inventory, enabling parts to be produced on-demand, at the point of need. In an ideal world, virtual inventories will enable manufacturers to send digital files to their production facilities anywhere in the world for on-demand production, cutting costs and saving a considerable amount of resources. The potential of additive manufacturing, therefore, lies not only in its ability to create new, complex geometries and accelerate product development. The technology can also disrupt production processes and supply chain management. The creation of digital inventories offers an agile approach that enables companies to achieve lower inventory costs and ensure parts are delivered in a shorter time frame. As with a lot of things, however, the case is not so clear-cut. While virtual inventories offer clear and compelling benefits, the shift towards digital manufacturing also raises key concerns around security and IP protection. 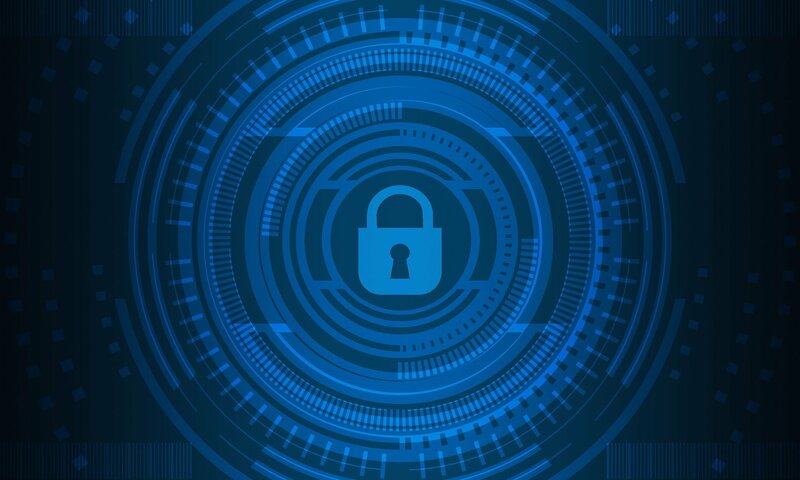 According to a cyber-security survey conducted by EEF, while 91% of manufacturers are investing in digital technologies, over a third (35%) believe security risks are stopping them from doing so fully. The concerns around the security of digital technologies, which encompass 3D printing, are well-founded. Digital files hold data relating to product specifications and how a part is to be produced. Unauthorised access to such data can have serious implications for businesses, such as the theft or tampering of data, posing a key threat to the integrity of a company’s intellectual property. With traditional manufacturing, the theft of one item will not typically translate into a considerable loss of income. With additive manufacturing, the consequences could be far more severe. Once a design file is compromised, an unauthorised person could have access to proprietary design features of a part, giving them the blueprint to reproduce an object as often as they want, provided they have the right equipment. Additionally, the ability for unauthorised third parties to produce counterfeit products not only poses a risk of profit loss, but also the potential for inferior products to be produced under a company’s brand name, compromising a company’s brand integrity. And it’s not only digital files that are prone to security vulnerabilities – 3D printers could be at risk of being tampered with as well. For example, when connected to the Internet, an unsecured 3D printer can be vulnerable to hackers gaining access to the machine remotely and introducing flaws into the software code that runs the printer. This can potentially lead to a disrupted printing process or even damage to the machine itself. Since the distributed manufacturing model requires the exchange of data, theoretically anyone who has access to the 3D file data could manufacture the part or product in question. Companies must therefore ensure that the right security systems are in place to ensure that all data is used appropriately, and that unauthorised users do not have access. As more and more companies start to adopt additive manufacturing for production, the need to protect AM workflows is perhaps more important than ever. The good news is that a number of companies and research institutions have been working on technologies needed to secure additive manufacturing across each stage of the additive manufacturing workflow. At the design stage, encrypting design files is a practice that ensures only authorised users have access to the data enclosed. Typically, encryption involves creating an encrypted digital container for each design file, so that designs cannot be accessed until decrypted by an AM machine. LEO Lane is a company that provides cloud-based security solutions. Its “Limited Edition Object” (LEO) files replace the full digital file when transferred between parties. The LEO includes a modified form of the STL format (LSTL) which can control the way in which a design is produced. An IP owner can build instructions into an LSTL file, specifying the type of machine it’s to be printed on, the type of materials, and the allowed number of prints – thus ensuring that the manufacturer won’t print the item as many times as they want. Other companies have developed methods to ensure that the authenticity of 3D-printed parts. US-based InfraTrac has developed a light-based anti-counterfeiting technology that helps authenticate polymer-based products. The technology infuses AM polymers with a chemical “tag,” without altering the chemical makeup of the material. The unique chemical tag is printed on sub-surface layers of a polymer part as it is being produced and then can be detected with a handheld spectrometer, allowing an operator to identify whether a part is genuine or counterfeit. Another solution recently proposed by New York University researchers uses QR codes to prevent counterfeiting and IP theft in 3D printing. The system instructs 3D printers to include hundreds of tiny elements in various layers within a component as it is being printed. Once printed, the completed part contains a three dimensional ‘QR Cloud’ which can be detected by a micro-CT scanner to confirm authenticity. This method has been trialled on thermoplastics, photopolymers and metal alloys, and reportedly doesn’t compromise the structural integrity of a part. The downside to this approach, however, is that finding the right angle and orientation is required to be able to read the code correctly. This can significantly complicate the identification process. While well-known within the world of cryptocurrencies and FinTech, the possibilities of Blockchain for additive manufacturing are still being explored. Blockchain can be loosely defined as a digital ledger which makes it possible for all members of a network to process transactions (e.g. access and exchange data) in a decentralised way, free from tampering. For additive manufacturing, blockchain could help protect intellectual property by supporting licensing agreements. For example, say a company authorises a contractor to 3D print a certain number of parts within the blockchain. A Smart Contract – a computer program stored inside a blockchain – issues the license information in the blockchain and authorises only that contractor to produce a set of parts according to licensing restrictions (e.g. a certain machine and a number of parts). The contractor’s printer then verifies the license before printing and receives an encrypted design file, which is then decrypted by a 3D printer. All the transaction details, from license verification to file decryption are tracked and recorded in the blockchain. And since everything that occurs on the blockchain is encrypted, it’s possible to prove that data has not been altered, thus ensuring security, traceability and integrity of AM data workflow. Blockchain solutions for additive manufacturing are only beginning to emerge. This spring, for example, the National Center for Manufacturing Sciences (NCMS) launched an initiative with a number of partners, including Moog Inc and Siemens, to adapt blockchain technology for additive manufacturing for government supply chains. 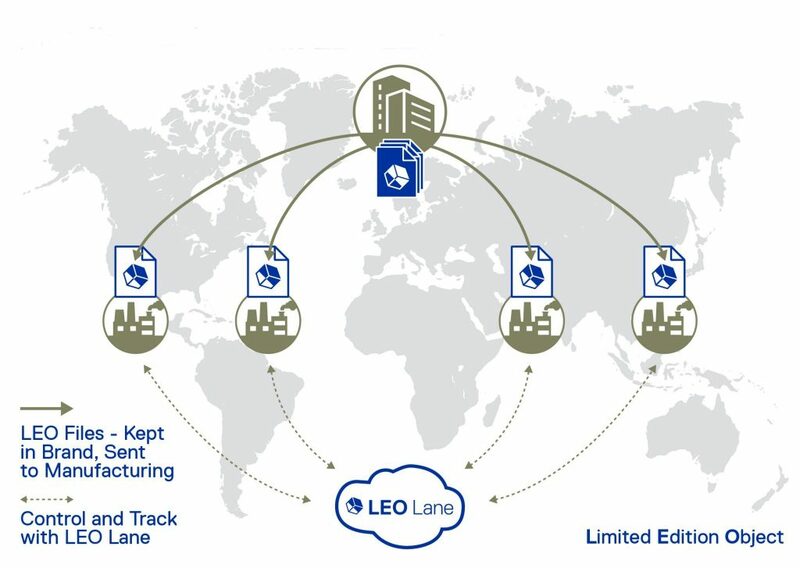 In June, GE filed a patent to use a distributed ledger to trace and validate 3D printed parts in its supply chain. GE believes that by using blockchain technology they can ensure that counterfeit parts are not being sold. The system would give all of GE’s additively manufactured parts a historical data record, allowing them to be traced from design to production, as well as certifying the materials, machines and processes used. Additive manufacturing is allowing companies to enhance their operations and transform their supply chains. However, the AM workflow, being a part of a larger digital network, will require an end-to-end solution to ensure security and IP protection across multiple stakeholders. Companies will need to secure the digital thread that connects the flow of data from conception through to production. The positive news is that there are software solutions that will enable organisations to avoid these risks with minimal disruption to internal processes and workflows. For companies looking to secure their additive manufacturing operations, researching the software solutions on the market is well advised. Apart from providing the necessary security, these solutions also promise to bring greater transparency and scalability into AM workflows, opening a route towards a future of smart, distributed manufacturing. 3D printing vs. CNC machining -- Is it a debate we should still be having?